Probably one of the better series from the Winter season. 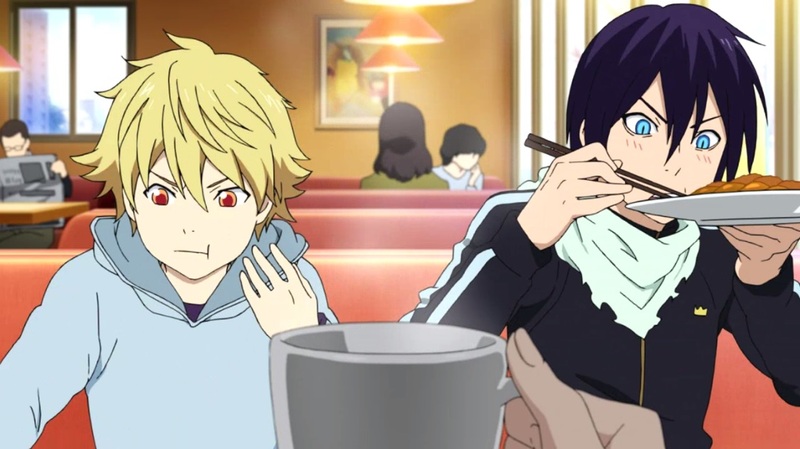 Noragami manages to balance between comedy and action really well. Yato is a silly god who likes to take things easy but at the same time, he abides by his strict morals and values. 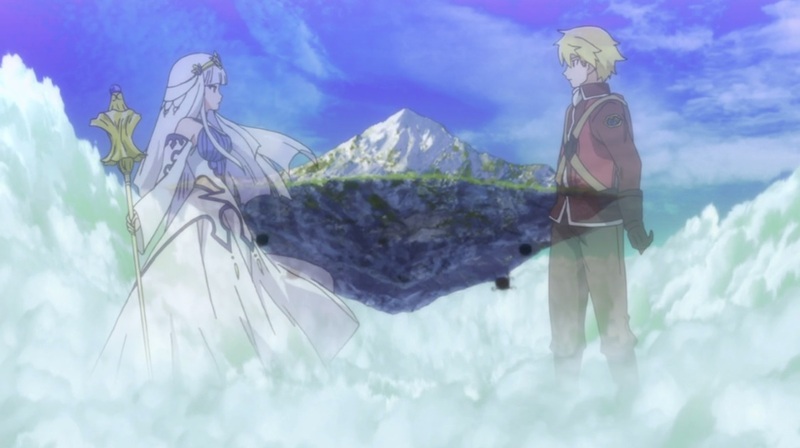 Hiyori ends up being exposed to the world of gods and phantoms by accident after encountering a near death situation. As the series progresses, we get to meet more gods and get exposed to the darker side of these gods. Each god has their own philosophy on how to handle Regalia which makes it interesting when Yato interacts with them to see things from a different perspective. Unfortunately, this series is only 12 episodes so we probably won’t get too far into the story and end up with an anime original ending. 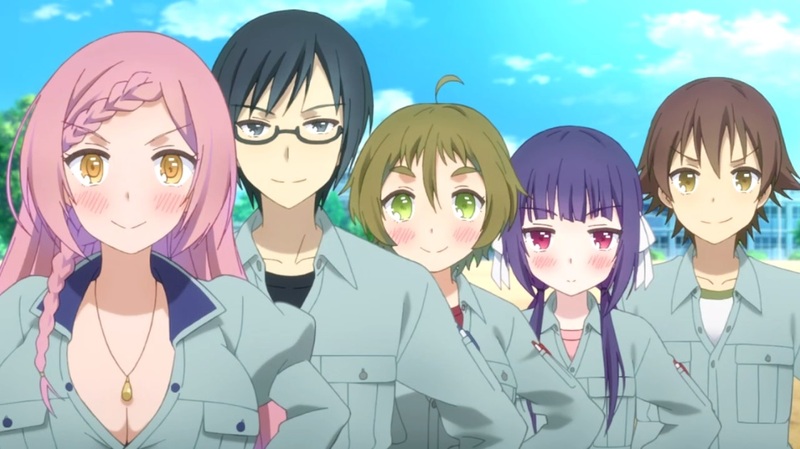 At first, I thought this was going to be more of a harem series, kind of like OreShura. However, it turned out to be more of a slice of life story where we watch Kinoshita adapt to her new life based around agriculture. It’s kind of similar to Gin no Saji where the characters go about their regular routines and we get to see a different type of lifestyle. Nourin also balances comedy with some serious messages pretty well. 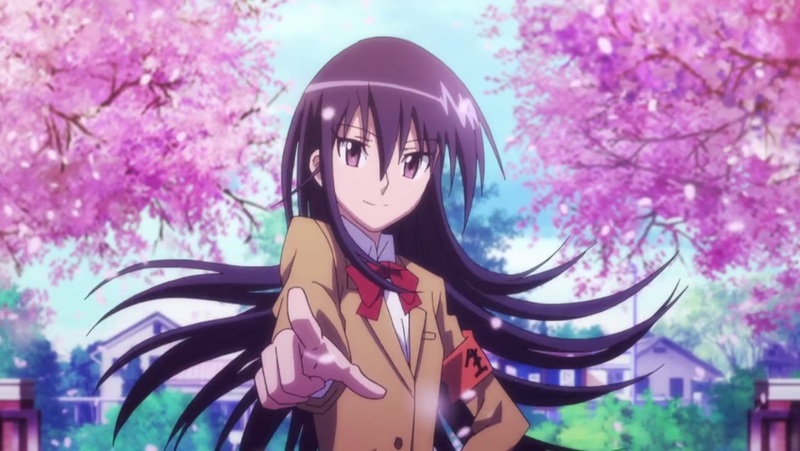 While the characters may go about their silly antics, they usually learn something as a result every episode which can be applicable to real life as well. This series isn’t as bad as I thought it was based on the initial reception from a lot of people. 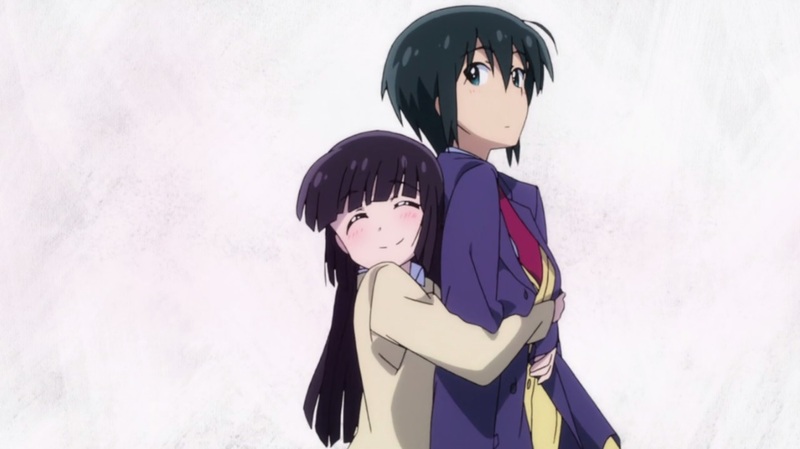 While ImoCho isn’t the most innocent series, I find that it’s nature of being so over the top to be quite entertaining. Mitsuki ends up in the most awkward positions possible while Yuuya overlooks everything and handles it in a mature way. This is just one of those shows where you turn your brain off for 20 minutes and just watch without being too analytical. Another 4-Koma manga series but this one is based on teenage girls discovering themselves. 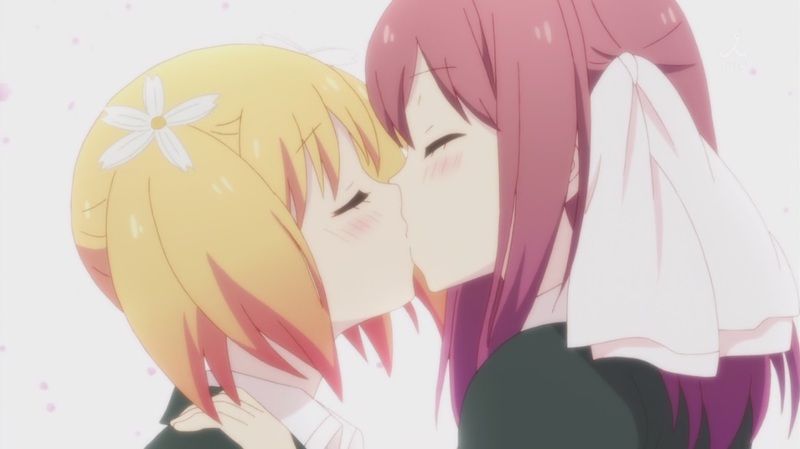 While it can be pretty entertaining, I found it to be a bit repetitive with how the girls will go about their daily lives, and then the girls end up kissing each other. It’s definitely a fun series and Deen did a good job with animating it but I don’t find it as enjoyable as some 4-Koma series (Mikakunin, Kiniro Mosaic for example). Again, there isn’t much to say about this series since it has no real plot or character development. It’s an adaptation of a 4-Koma manga that revolves around sexual jokes and gags. Maybe it’s just me being immature, but I find the jokes to be pretty humorous. Each character has a unique trait to them as well which makes the memorable. While it can get a little repetitive, this series doesn’t need to be taken too seriously since it’s just gags and jokes. I’m not really sure what I was expecting going into this series. I was kind of hoping to get some sort of slice of life revolving around Super Sonico’s life in college. Instead, we do get a slice of life series, but it generally revolves around everything Sonico does. I think the problem though is that the episodes lack any sort of real conflict, everyone in the show is a good person but the “conflicts” revolve around misunderstandings usually. As a result, it’s kind of just bland. 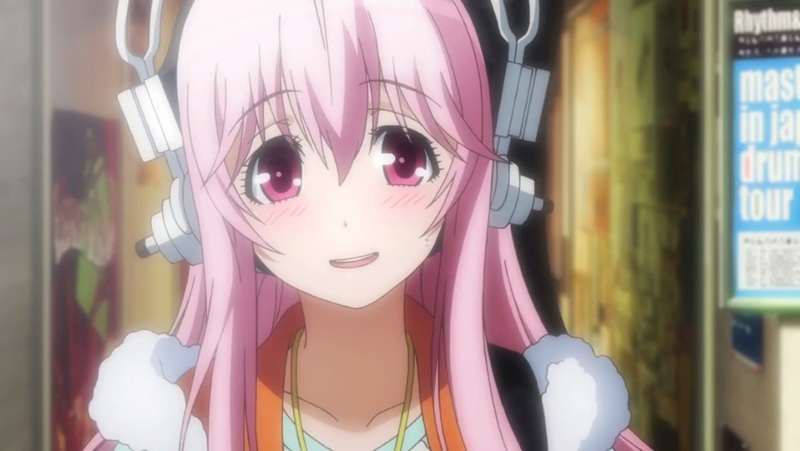 On top of that, Sonico kind of just goes along with the flow and doesn’t really stand out personality wise. She’s nice to everyone, and tries her best all the time while being naive. While it’s nothing special, this series does have it’s moments and can be pretty relaxing to watch as well. When I read the synopsis, I was honestly expecting a slice of life story where a kid who had a rough upbringing gets to experience what it’s like to be a normal kid. While that sort of happened, we get exposed to Kal-el’s dark past and the series takes a more serious tone. Kal-el and his friends entered the flight school in order to pursue their dreams but it gets cut short when war begins to ravage their nation. These kids are thrown into the “real world” where they’re no longer kids, but soldiers protecting their nation. I’m not really a fan of the animation at times but this series has a really catchy OP song, as well as a hauntingly beautiful ED song. I don’t have much to say about this series because I picked it up on a whim. It reminds me of your typical shoujo series where a girl meets a popular guy and he takes an interest in her. They end up falling in love while he protects her from all sorts of things. Except that the gender roles in this series are reversed. 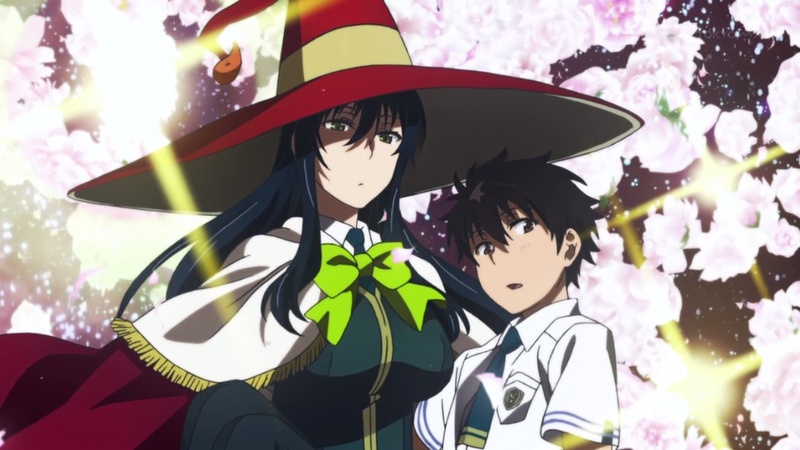 Instead, we have Kagari being an all powerful witch who protects Honoka from everything. He gets himself into all sorts of bad situations which results in Kagari having to bail him out of them. It feels like there is a lack of threat in the series. Kagari just seems overpowered so that anytime she’s “in danger” it usually gets resolved pretty quickly and she’s back to her usual self within minutes. That’s it for my mid-season impressions. A lot of them are pretty general but that’s probably because I haven’t gotten too emotionally invested into the series. While I didn’t really find any series to be that impressive, there were a lot of enjoyable slice of life/comedy series this season. I also tried to get into some other series like Space Dandy, and Buddy Complex, but they didn’t interest me and I’ve been lacking free time lately. Anyways, that’s it for my mid-season impressions, hopefully I’ll have time to work on my Spring 2014 pre-air thoughts in the coming weeks.